Transform devitalized skin texture for a brilliant, more youthful appearance. 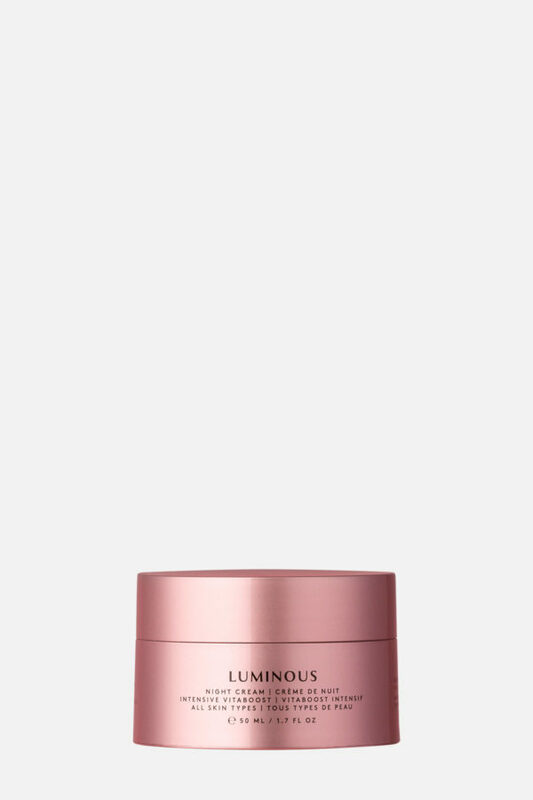 An advanced blend of Retinol, AHA and Sea Algae deeply nourishes the skin surface, while Vitamin A promotes renewal, accelerating the generation of new skin cells. 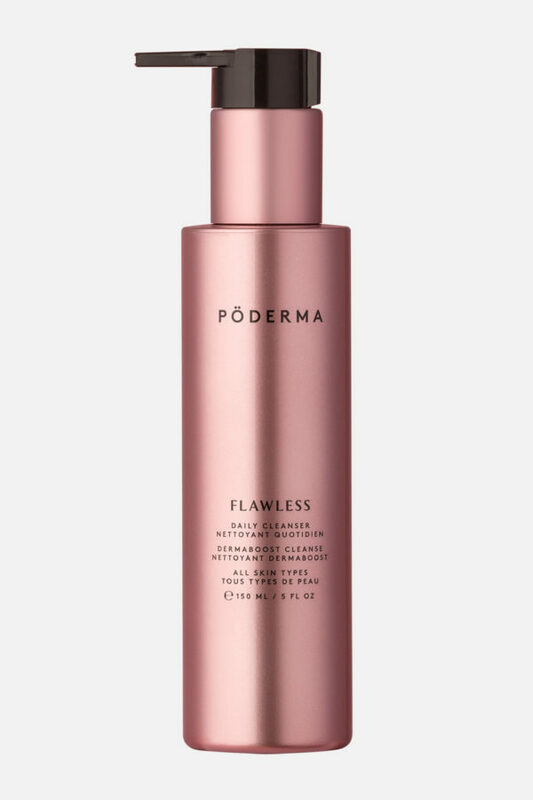 Gently cleanse face with Pö Derma Flawless Daily Cleanser and pat dry. 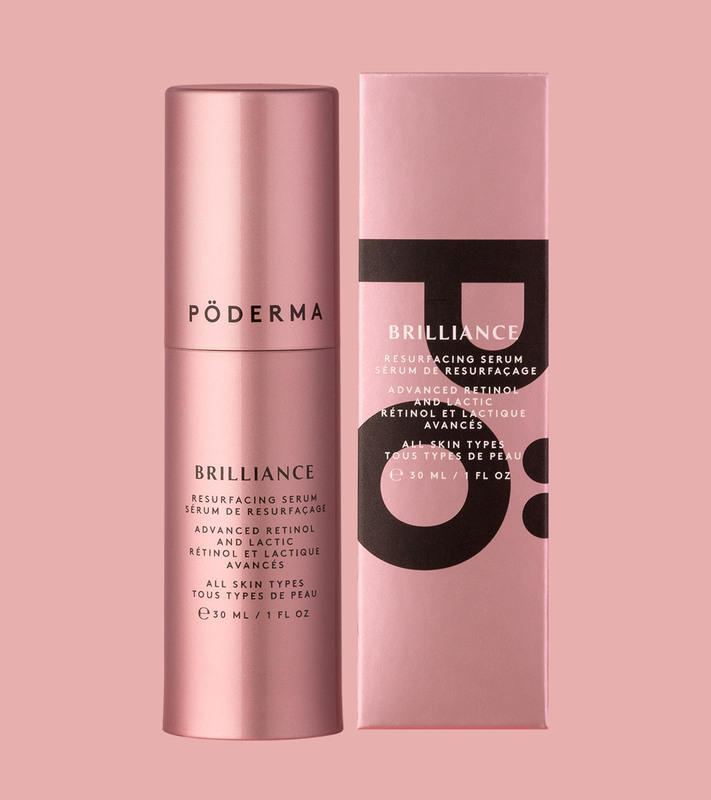 Apply 2-3 pumps of Pö Derma Brilliance Resurfacing Serum to face, neck and décolleté in the evening. Follow with Pö Derma Luminous Night Cream. Find out more about how to use this product as part of the Pö Derma System. Aqua/eau (purified water/eau purifiée), lactic acid, retinol, glycerin, cetearyl isononoate, glycolic acid, ceteareth-20, cetearyl alcohol, glyceryl stearate, ceteareth-12, cetyl palmitate, algae extract (tego stemlastin), sodium hydroxide, olive squalane, xanthan gum, phenoxyethanol, benzoic Acid, dehydroacetic acid, ethylhexylglycerin, polyaminopropyl biguanide, aromatic pomegranate extract/extrait aromatiques de pomme grenade. An alpha hydroxy acid with a larger molecular size than glycolic acid. Increases skin's hydration, pliability and flexibility, excellent for more sensitive skin, dark or hyperpigmented skin. Naturally derived from Cyanidium Caldarium Algae which is rich in extremolytes-like mineral nutrients, amino acids and polyphenols and GABA (gamma amino butryric acid). Stimulates epidermal stem cells and dermal fibroblasts. Significantly supports the maintenance of epidermal stem cell activity encouraging skin rejuvenation. A plant source alternative to Squalene found naturally in the sebum of human skin and is believed to lubricate and protect skin. Squalane, is an emollient with exceptional spreading properties and skin absorption. 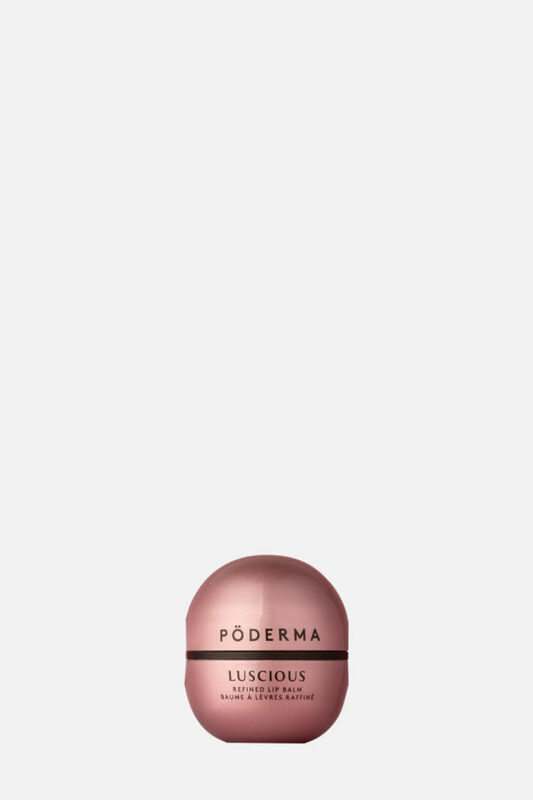 Encapsulated retinol offers gradual release and enhanced efficacy. Retinol helps stimulate cell regeneration and build collagen to diminish the appearance of fine lines, wrinkles, and age spots. Helps to minimize the appearance of pore size while addressing blemishes and blotchiness often associated with problematic, acneic or mature skin. Pomegranate acts as a catalyst and antioxidant booster, thus improving the efficacy of the other ingredients.